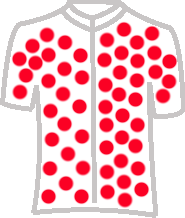 The Turkish Cycling Federation (Turkish: Türkiye Bisiklet Federasyonu, TBF) is the national governing body of cycle racing in Turkey. Founded in 1923, its headquarters is located in Ulus quarter of Ankara. Current president of TBF is Emin Müftüoğlu. The TBF is a member of the UCI and the UEC. The first bicycle competition held in Turkish history was organized by ethnic Armenian Leon effendi and Papazyan in 1910-1912 in the city of Salonica. Eventually, these Cycling competitions got sponsored by the Fenerbahçe sports club which organized races from the Fenerbahçe neighborhood, then Maslak, and Bakirkoy. The Turkish Cycling Federation was eventually established in 1923. Its first national competition was held in 1927 which started from Taksim and ended in Bulgaria.